Home » Culture » What is Blexit ? The republican party has been considered the party that has been most anti black, but is that true today or even true historically. A little history lesson is needed to better understand this movement. 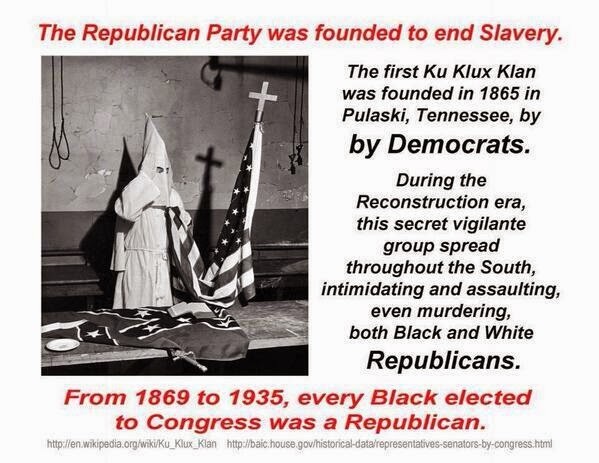 The KKK was founded in 1866 by the Democratic party and became a vehicle for white Democratic resistance to the Republican Party’s Reconstruction era policies aimed at establishing political and economic equality for blacks. KKK people waged a campaign of intimidation and violence directed at white and black Republican leaders. Republican President Abraham Lincoln issued the Emancipation Proclamation during the Civil War. In 1865, the 13th Amendment emancipating the slaves was passed with 100 percent of Republicans (88 of 88 in the House, 30 of 30 in the Senate) voting for it. Only 23 percent of Democrats (16 of 66 in the House, 3 of 8 in the Senate) voted for it. was passed giving the newly emancipated blacks full civil rights and federal guarantee of those rights, superseding any state laws. Not a single Democrat voted for it. The fifteenth amendment the right to vote was passed again with not a single Democrat voting for it. In 1892, Democrats gained control of the House, the Senate and the White House, and repealed all the Republican-passed civil rights laws. 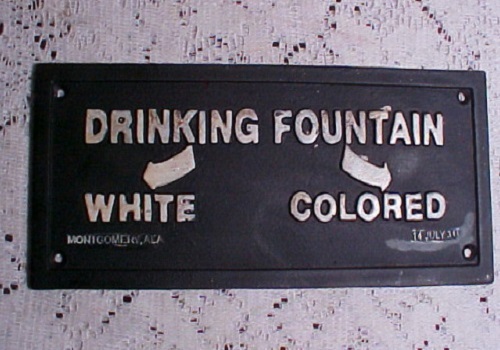 That enabled the Southern Democrats to pass the Jim Crow laws, poll taxes, literacy tests, and so on, in their individual states. In the ’60s, Only 64 percent of Democrats in Congress voted for the 1964 Civil Rights Act (153 for, 91 against in the House; and 46 for, 21 against in the Senate). But 80 percent of Republicans (136 for, 35 against in the House; and 27 for, 6 against in the Senate) voted for the 1964 Act. Reconstruction Era Campaign Poster for the Democratic Party, Circa December 1869. It’s no secret that the democratic party receives 90 per cent or more of the black vote and it is said to be crucial for Democrats to win an election. Given the Dems Racist history, Blexit (Black exit) is a movement away from the Democratic party and towards the Republican party. If Blexit is a successful movement as some recent polling has indicated, then this could be huge for the Republican party.